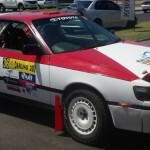 Club level to full rally cars, complete or partial builds, custom work, set up and race preparation. From simple mud flap brackets, to sump guards or full seam welding. 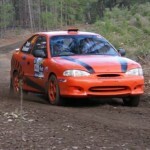 Most race applications need at least some custom fabrication or welding. Tower to tower weld in or bolt in roll cages. Safety structures built and installed to the regulations. Adding additional lights or a full strip and re-wire. Electrics is usually the place that most need assistance. 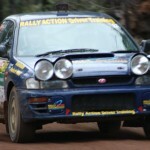 Supply and/or fit of rally suspension including adjustable components. Supply, fitting and setting up basic wheel probe systems to the latest GPS units. Brake upgrades, hydraulic handbrake install or custom fuel or power steering work. We can build cars to turnkey ready to race or just complete certain aspects, the choice is yours.